Sometimes we get so caught up in our own whirlwinds, we forget the whirlwinds of those around us. Thank goodness for Facebook and Twitter! With just a quick tap and a scroll, I can catch a glimpse of what’s happening with everyone else and realize that my issues are, in fact, just a drop in the bucket compared to someone else. I really love using social media to stay connected with friends and family. In this fast-paced world in which we live, sometimes it’s the only lifeline I have to know when people are hurting or when there’s cause for celebration. Today was a perfect example of the importance of being connected. Oh my goodness! This is serious stuff! It’s incomprehensible to imagine someone my age, that I went to high school with, having to battle such life-changing situations. However… There is joy in the journey! 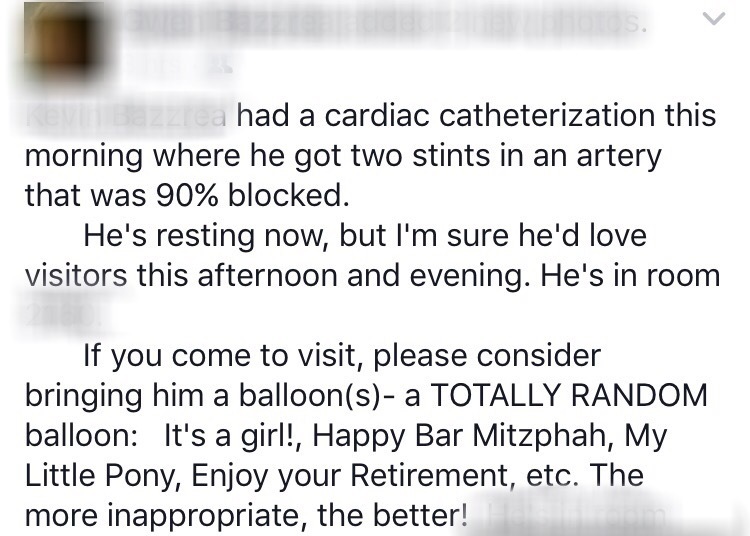 I love how my friend requested absurd balloons – how funny is THAT?! So awesome! 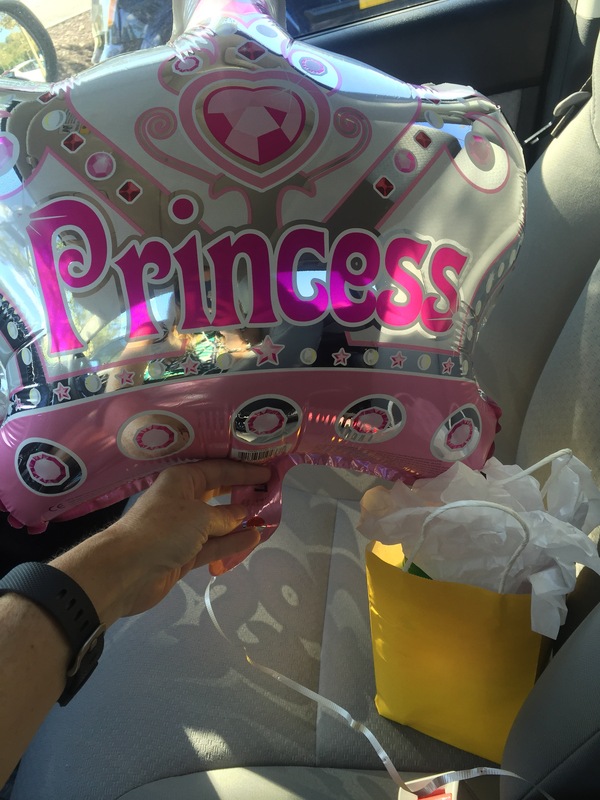 Yep, that’s right – I bought a Princess balloon for a grown man in his 40’s who I know would rather be mud-bogging than trapped in a hospital bed with a gown that only ties in the back. Princess indeed! I laughed all the way back to my car! 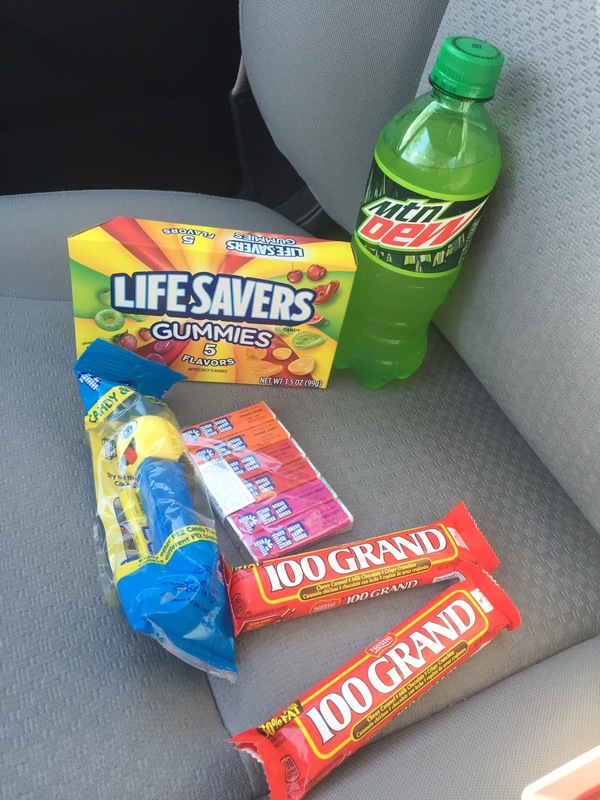 I got Mountain Dew to jump start that old heart of his with caffeine in case the surgery didn’t work. I added a box of Lifesavers as a last resort for survival. I bought a crazy-faced Pez because, well, you’re never too old to get Pez as a gift! I also bought a pack of Pez refills because NOBODY gets excited by the lemon Pez candies that come with the package. C’mon now Pez makers… Would it be too much to ask for some grape and strawberry? The gift was received with laughter, which made me smile, too. Take time today to reach out to those around you! A quick note, a small surprise, just letting people know you care.